Here at Spring Showers Irrigation, we care about how your lawn and garden look. To that end, we install, service, and maintain irrigation systems in Oakville and surrounding areas, including Grimsby, Hamilton, Mississauga, Burlington, and the GTA. Let us install, maintain, or upgrade in-ground irrigation systems for your home, business, or industrial project. Our team can help you with any of the services below to ensure your irrigation systems continue to function properly for lush, green lawns for many years to come. We’ve served Oakville and surrounding communities for over 10 years, and our installation professionals have worked with us for a minimum of five years each. Whether you need a new underground or drip irrigation system for your commercial or residential property, we can help. Call Spring Showers Irrigation today to talk to a technician about irrigation system installations in Oakville. It’s never fun to deal with a broken sprinkler system. Let us do it for you. Our service technicians offer a quick response time and capable industry knowledge. We can fix anything from a faulty component to larger system issues. Your lawn won’t go brown on our watch. 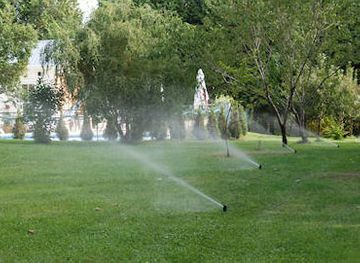 Irrigation systems in Oakville need proper maintenance throughout the seasons to work effectively. 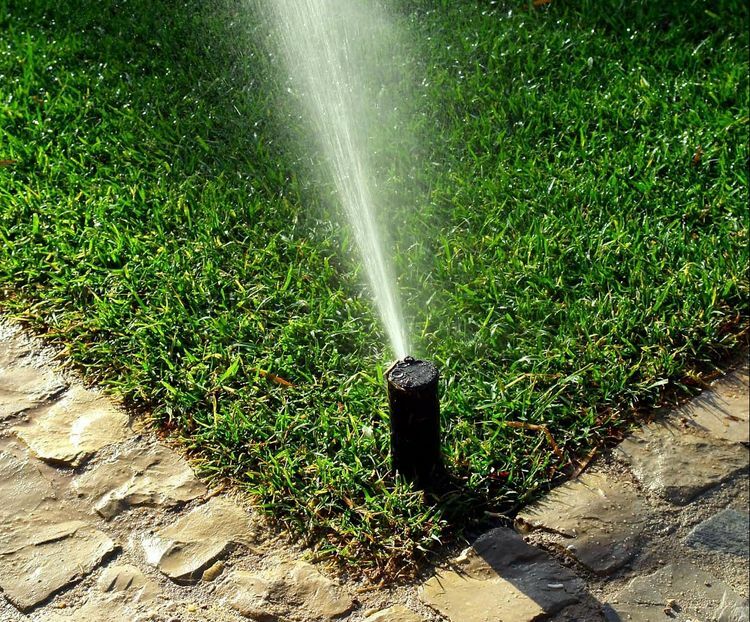 When spring arrives, we’ll fill the system with water and inspect for leaks or broken sprinkler heads. We’ll also program your controller and check your lawn for full coverage. When we’ve finished, you’ll receive a summary of our inspection so you can make an informed decision about any repairs. Before winter hits, let us prepare your system for the upcoming colder months. We’ll flush all water out with an air compressor to prevent freezing, cracking, and leaks. We’ll also properly shut off the access valve to prevent water from seeping back into the system. This will protect your investment for years to come. If you need any of the services above, call one of our technicians today at 905-309-1618 for a free quote. Browse our past residential, commercial, and industrial projects.